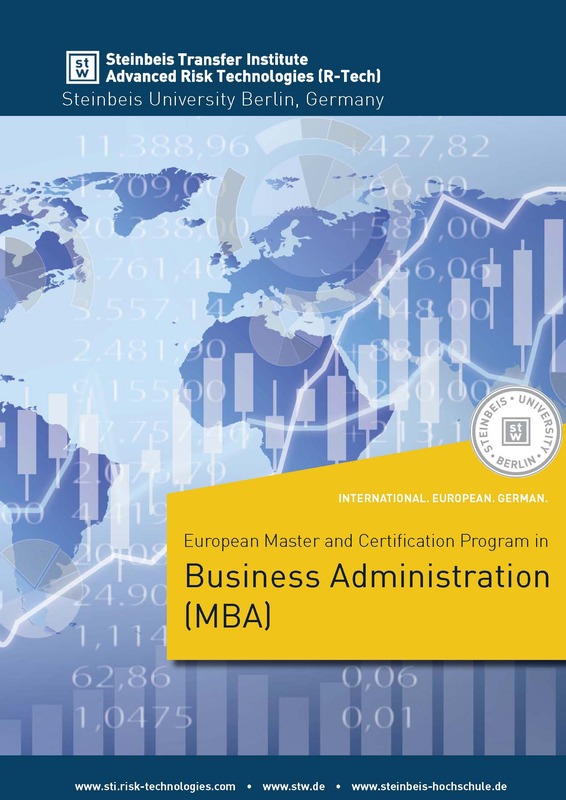 The Master Program in Business administration of the Steinbeis University Berlin is designed for graduates and young professionals who wish to develop their knowledge, skills and competences in the fields of Economics, Accounting, Finance, Strategic Management, Leadership, Communication and to understand how business works, allowing them to successfully assume management positions. Students may take the Master as a distinctive step in their professional career or in preparation for a Ph.D. degree. Career prospect for graduates of the Master in Business Administration are above the average because of the great and increasing need on the market for professionals with technical and managerial skills, combined with past working experience and a strong network. NOTE: Missing CPs can be acquired through additional modules.